The City of Durham has created a draft Equitable Community Engagement Blueprint, to inform further work on the Belt Line, and future initiatives. Great work city staff, advocates, and leaders! The City of Durham is in the process of acquiring an abandoned railroad track encircling downtown Durham. It plans to turn it into a bike trail park. While intended to make Durham a more walkable and bikeable city, there is good reason to believe the Durham Belt Line trail will create cultural and economic barriers that negatively affect Black, Latinx, and low-income communities unless comprehensive social equity policies are implemented in advance of construction. Similar projects in other cities across the country have resulted in major physical displacement and inequity. The Durham Belt Line master plan has not yet been approved, so there is still time for a coordinated community vision and plan for equitable development. The scale and timing of this project provide a unique opportunity for Durham be a model city for equitable development in the region and the country. The trail was first envisioned in 2001 by the Durham Open Space and Trail Commission, but the land was finally acquired in June of 2017 through a bridge deal with The Conservation Fund. The City of Durham is currently in the process of acquiring the land from The Conservation Fund. The 1.7 mile Belt Line trail will connect with the R. Kelley Bryant Trail, The Goose Creek Trail, the American Tobacco Trail, and the South Ellerbe Creek Trail (including the stormwater remediation site) to create a small loop encircling the city. This will connect with other existing trails to eventually create a 40 plus mile 'Great Loop' linking Durham to Cary. 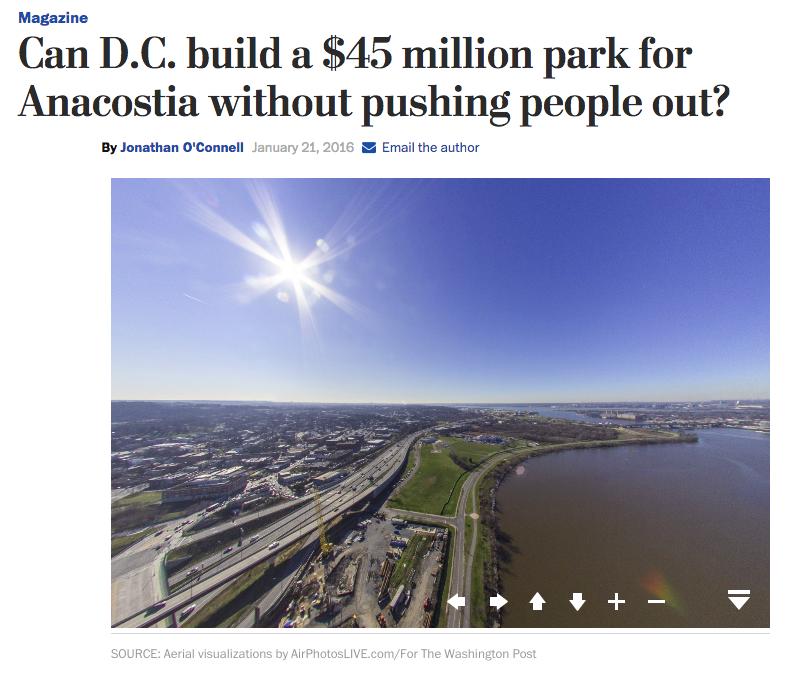 While intended to create transportation equity for those without vehicles, encourage low-carbon transportation like biking, and provide public space for recreation, this great loop will likely spark property speculation and inequity unless a coordinated equity response and plan is adopted. The official website and master plan draft for the trail (released on April 25) is at: www.durhambeltline.com. Durham is already experiencing extreme displacement. Evidence available from precedent projects shows that the Durham Belt Line will dramatically increase that. There are currently 900 evictions a month in Durham — the highest in the state of North Carolina. That's 4.2% of the city's population evicted in one year. Many of the areas along the proposed Durham Belt Line path already experience some of the highest eviction rates in the city according to 2016 data on Datawork's Neighborhood Compass, using data from the Durham County Sheriff's office. The 2017 Durham County Health Assessment, composed by the Durham County of Public Health, Duke Health, and Partnership for a Healthy Durham, available at www.healthydurham.com, identified the number one threat to Durham County public health is lack of Affordable Housing. Therefore, a bike trail project that does not secure affordable housing and instead threatens it is not healthy for Durham. This report gives a greater context for what needs the Durham community has for a trail park and open space. Displacement can be cultural as well as physical — making historically oppressed and vulnerable populations feel unwelcome and disrupting longstanding cultural networks. Columbia University Psychiatrist, Mindy Thompson Fullilove has written about the trauma and public health implications of displacement and the legacy of Urban Renewal, which displaced Black Durham residents in the 1960s and 1970s. Without social equity policies, this trail will likely repeat this pattern of public infrastructure-led displacement. Durham has a unique heritage as a space and place of Black American freedom-seeking. The city was formed just after the civil war in the shadow of Stagville Plantation—one of the largest plantations in the nation—which was located in present-day north Durham County. At the time of Emancipation, the Cameron-Bennehan family of Stagville enslaved more than 900 men, women, and children. The new settlement of Durham was a place to be free of the watchful eyes of their former enslavers and to create what both Booker T. Washington and W.E.B. Du Bois agreed was, 'the Black city of cities' to look to for prosperity, and what E. Franklin Frazier called 'the capital of the Black middle class.' Over time, the social networks and place infrastructure formed in Black Durham were uprooted through race-based disinvestment, Jim Crow era segregation, school fires, redlining policies, and eventually Urban Renewal. 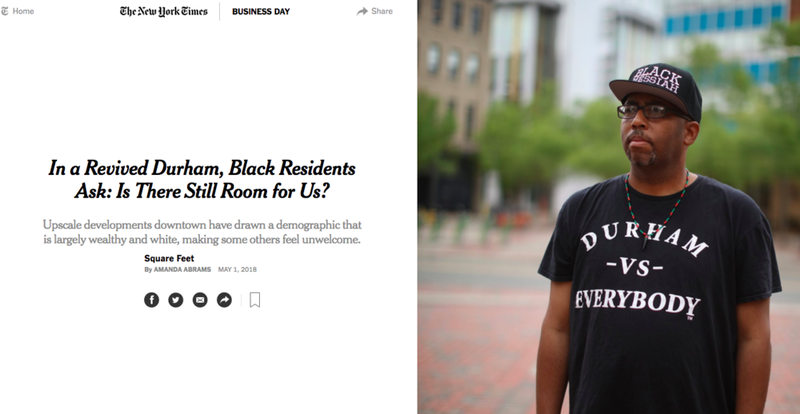 Despite the early Black wealth in Durham and fifty years of the Fair Housing Act, policies like Urban Renewal and Redlining—which did not create equitable paths to Black homeownership—still manifest in a race-based asset gap. The City of Durham today is a majority Black and Latinx city (53.9%). It is a city that is rapidly growing, and a city in a crisis of evictions of Black and Brown families. The Durham Belt Line trail gives the opportunity to create a model of truly just and sustainable public, green infrastructure which builds social equity, economic development, and environmental stewardship. A sustainable city is an equitable city. There is still time to create a community-led vision of what will become Durham's largest public space, starting with gathering of the needs and visions of the communities the trail will serve. We know the strength of Durham's community and its heritage, and know that this can be a community-led model park for the rest of the country and the world. Similar Belt Line and Linear Parks from around the world have resulted in extreme displacement. 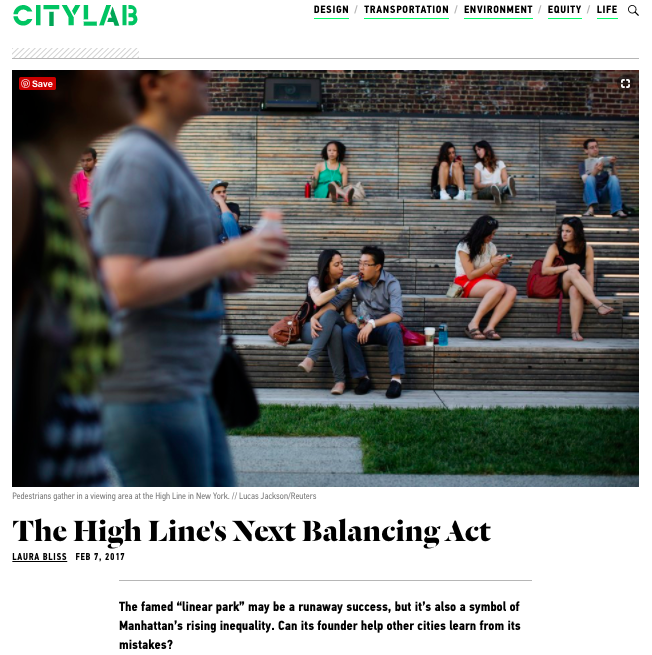 Even the founders of model projects like The High Line and The Atlanta BeltLine admit that they have failed the existing community. 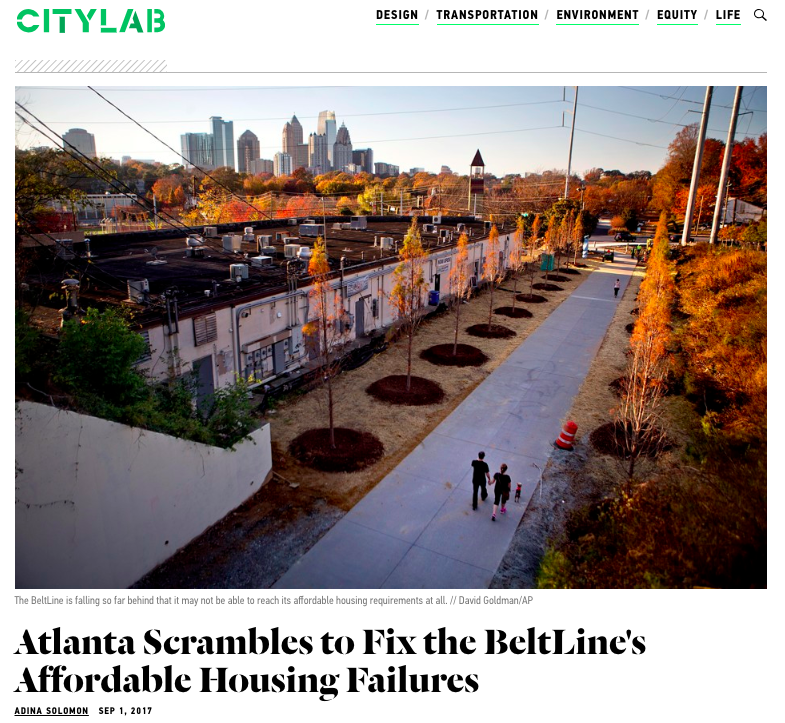 “We believe that who the Atlanta BeltLine is built for is just as important as whether it is built at all." We were from the community. We wanted to do it for the neighborhood. Ultimately, we failed.... I wish we’d asked, ‘What can we do for you?’ Because people have bigger problems than design. This displacement effect of greening projects on historically marginalized communities has been also been documented by empirical quantitative research. The Barcelona Laboratory for Urban Environmental Justice and Sustainability has collected data on 50 greening projects across the world over the time scale of 25 years; because of the displacement effects and top-down process, they have named these projects, Green Locally Unwanted Land Uses, or GREENLULUS. Durham was developed as a factory town without any significant downtown parks or open space. A bike trail would provide green public space as well as low carbon and low-cost transit connectivity. Federal funding for the Durham Belt Line park was provided by a Federal TIGER grant in 2014, with the promise of providing 'Ladders of Opportunity' for residents without access to public transit, and who are from communities that have suffered from a legacy of redlining and disinvestment. A project that does not provide 'Ladders of Opportunity', and instead creates 'Ladders of Displacement' for those who do not own a vehicle would be a misuse of funding. Link to the grant application here. The creation of a city-encircling public space creates a rare opportunity to center and coordinate public needs for a vibrant space for everybody. Most importantly this means addressing the existing community's needs, challenges, and assets. In recognition of the extreme displacement caused by Belt Line Trail Parks, the 11st Bridge Park, currently a model in equitable park development (but still unbuilt), has adopted an Equitable Economic Development Plan, which puts in place a decade of neighborhood stabilizing steps before the trail is even built, and a Cultural Equity Plan. The 11st Bridge Park project is currently being held up as the gold standard of park development, but other models are needed at different scales and in different contexts. The Durham Belt Line presents a unique opportunity for a community visioned and built public space and development if the community decides it wants the project built at all. Join us to learn more about the proposed development plan and how we can create a just, community-led vision for the space. This meeting is open to all community members. 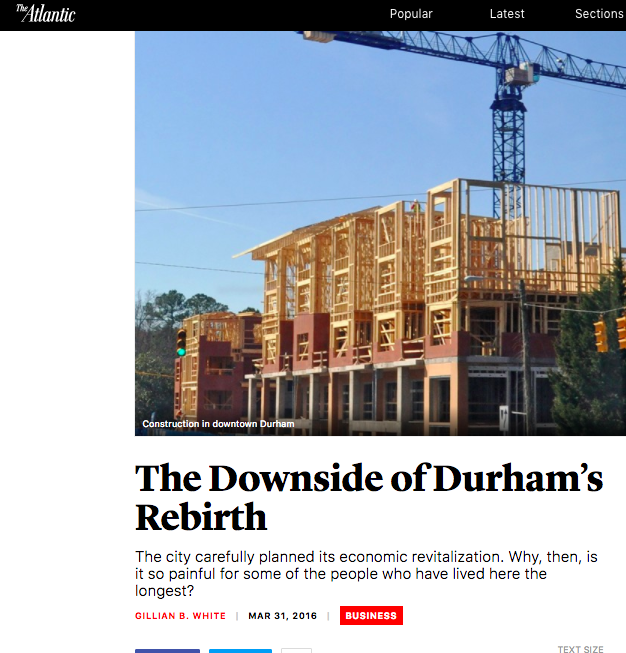 Durham is at a critical inflection point. As Durham grows and invests in public projects like the Durham Belt Line and trail extensions, how can we ensure that our residents, especially our low-income residents, are not asked to finance their own displacement? Join us to create a plan for Shared Prosperity. Nathaniel Smith serves as Founder and Chief Equity Officer (CEqO)/CEO of the Partnership for Southern Equity. Partnership for Southern Equity's mission is to advance policies and institutional actions that promote racial equity and shared prosperity for all in the growth of metropolitan Atlanta and the American South. 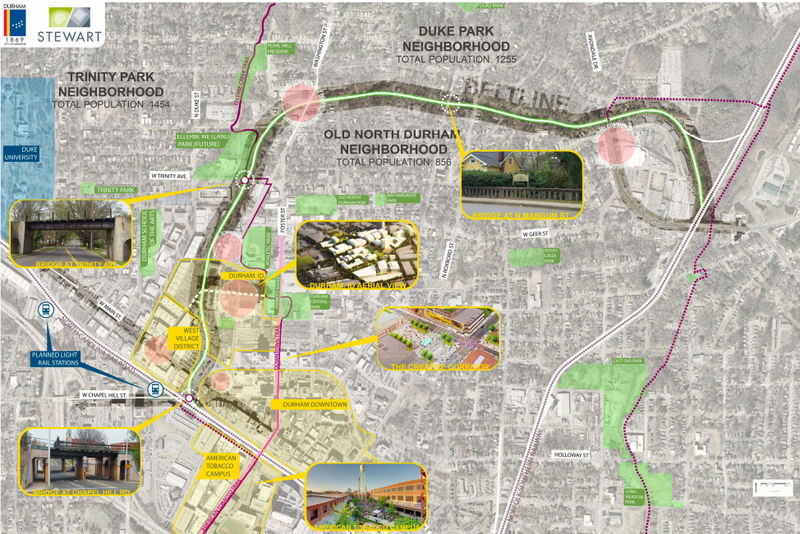 The equity failures of the Atlanta project provides a stark warning for Durham as it begins the process of building the Durham Belt Line and Great Loop trail extensions. Nathaniel will share his experiences and help facilitate a community conversation to envision a process for shared prosperity for everybody. Among Partnership for Southern Equity’s notable accomplishments are the creation the American South’s first equity mapping and framing tool the Metro Atlanta Equity Atlas (MAEA); The Atlanta Regional Commission’s Equitable Target Areas (ETA) mapping index to promote and measure equitable land-use planning efforts; supporting the creation of the nation’s first “Equitable Development Plan” for a large scale neighborhood transformation project – The Atlanta Beltline; convening the inaugural Equity Atlanta Forum on the equitable utilization of Federal Stimulus Funding in metro Atlanta as well as its supporting document, co-written by PolicyLink, “Recovering Stronger: Building an Inclusive Metro Atlanta Economy.